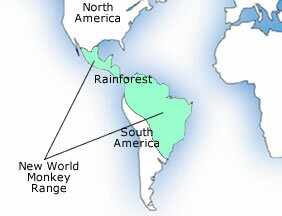 The New World Monkeys are divided into two families and four subfamilies of primates that are found in Central and South America: Cebidae, Aotidae, Pitheciidae and Atelidae. There are around 100 species of New World Monkeys divided into the four families. The four families are ranked together as the ‘Platyrrhini parvorder’. New World monkeys differ from other groups of monkeys and primates, such as the Old World monkeys and the apes. 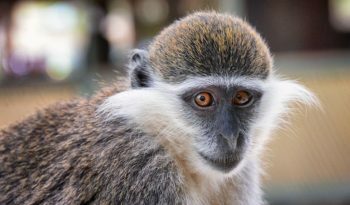 The different noses on New World Monkeys is the most commonly used feature to distinguish between the two groups. 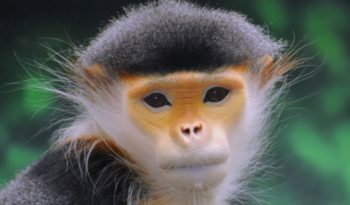 The scientific name for New world monkey, Platyrrhini, means ‘flat nosed’, therefore their noses are flatter, with side facing nostrils, compared to the narrow noses of the Old World monkey. Most New world monkeys have long, often prehensile tails. Many are small, arboreal and nocturnal, so our knowledge of them is less comprehensive than that of the more easily observed Old World monkeys. 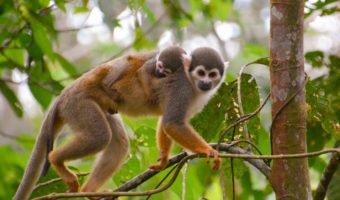 Unlike most Old World monkeys, many New World monkeys form monogamous pair bonds and show substantial paternal care of young. 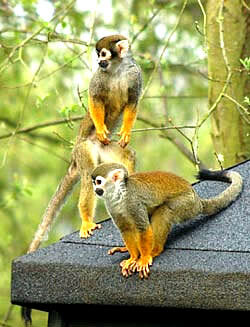 Two examples of New World Monkeys are the Marmoset Monkeys and Tamarin Monkeys. 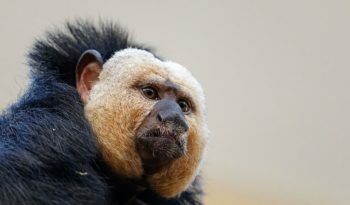 These monkeys range in weight from only 1/3 to 2 pounds (140 – 900 grams), however, their thick fur and long tails deceptively make them look larger and heavier. The marmosets are the smallest of all monkey species. Both marmosets and tamarins are considered to be the most primitive monkeys. 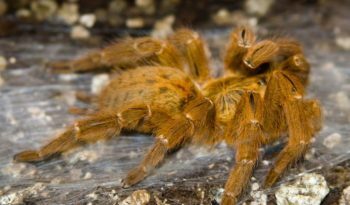 Their thumbs are not opposable and they have claws on all digits except for their big toes, which have nails. They do not have prehensile tails and they also lack the ability to change their facial expressions. Twin births are common. All other primate species usually give birth to only one young at a time. The diet of the New World Monkeys depends upon species. The favourite food of tamarins and marmosets is carbohydrate rich tree sap which they tap by gnawing holes in trunks. Some tamarin species eat flower nectar as well. The smaller marmosets venture into the very top of forest canopies to hunt insects that are abundant there. he Cebidae are generally very enterprising when it comes to obtaining food. 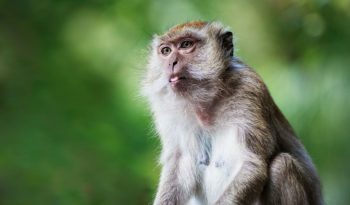 For instance, capuchin monkeys venture out of the trees to hunt crabs, clams and other small animals in mangrove swamps. They also hunt large insects and collect birds eggs in the trees in addition to eating leaves and fruit. Some capuchin groups collect palm nuts, dry them out over several days and crack them with rocks to get at the food inside.